What’s on the menu for Cinco de Mayo at your house? Living in Austin, TX Mexican food is a staple year round. Whether I’m eating out at Polvos for my favorite chili rellenos in pecan cream sauce, whipping up a delicious batch of Honey Lime Chicken Enchiladas by The Girl Who Ate Everything, having my picture taken (and framing it in an old TV) at Taqueria Arandas for Tribeza Magazine or in this case making a peanut-free version of Slow Cooker Chicken Mole for DIY Network – my appetite is south of the border often. No joke I had chicken fajitas 30 minutes before typing this sentence. My inspiration for this post 10 Delicious Peanut Free Recipes was inspired by my son Baxter who has a peanut allergy. I love mole, Pad Thai and the taste of PB and banana. I had to take matters into my own hands and revamp the recipes using different nut and seed butters besides peanuts. Easy peasy and supa dupa delicious. 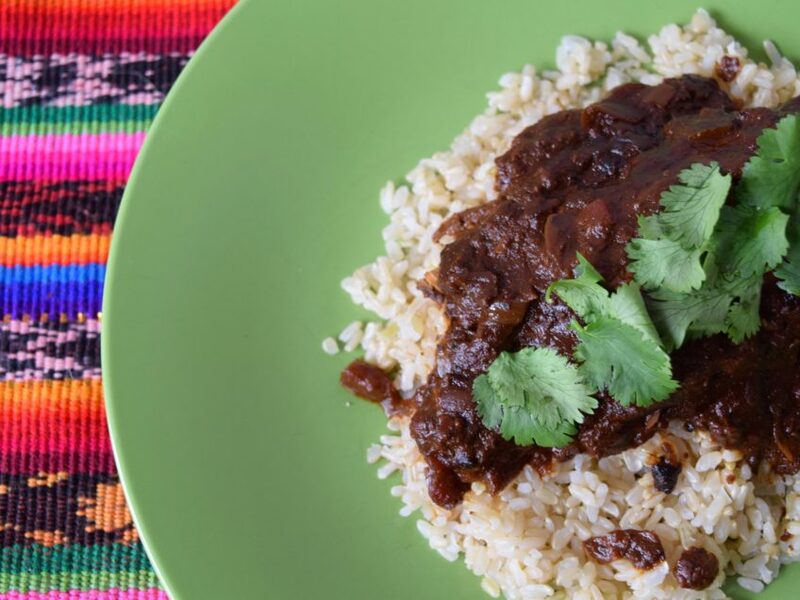 I wanted to make sure I got the recipe for Slow Cooker Chicken Mole into your hot little hands in time to make it to your dinner tables tomorrow night for Cinco de Mayo. Let me know what you think! Posted May 5, 2016 & filed under Cinco de Mayo, Cooking Crafts, Crafts, DIY Network/HGTV, Holidays. 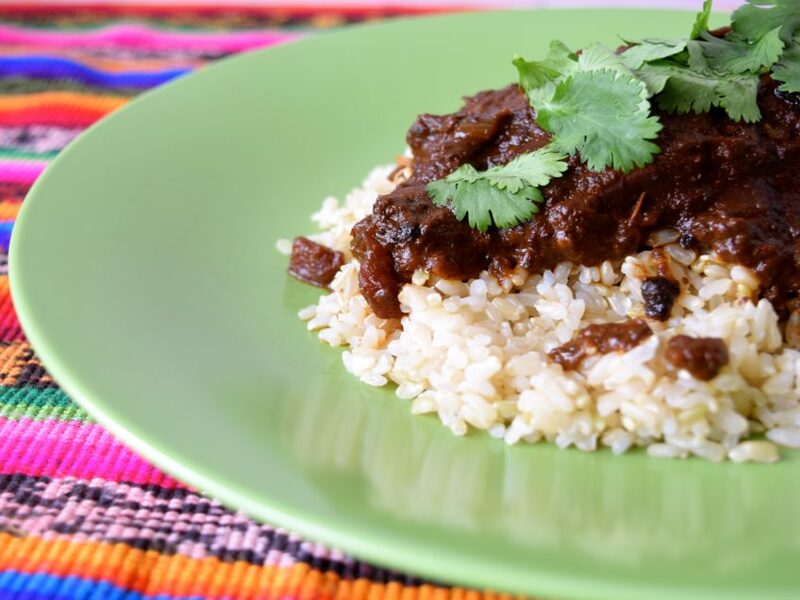 What size cans did you use for the chiotle chiles in adobo sauce? I found two sizes at the store. I found a 7oz and an 11oz.